The relation of fatigue in Multiple Sclerosis (MS) to the visual system, an emerging structural and functional surrogate in MS, has not been well established. We examined how physical and cognitive fatigue could be associated with visual dysfunction and neurologic impairment. At a single time-point, we assessed 143 patients with: Low-contrast letter acuity (LCLA) and high-contrast visual acuity (VA) testing, the 25-Item National Eye Institute Visual Functioning Questionnaire (NEI-VFQ-25) and Neuro-Ophthalmic Supplement, the Modified Fatigue Impact Scale (MFIS), the MS Functional Composite (MSFC), and the Expanded Disability Status Scale (EDSS). Worse binocular LCLA scores were associated with increased levels of total and physical fatigue (p≤0.026). Greater levels of fatigue were also associated with reduced vision-specific QOL (p<0.001). Patients with more physical, but not cognitive, fatigue had greater levels of impairment by the Timed 25-Foot Walk (T25W, r=0.39, p<0.001), 9-Hole Peg Test (9HP r=0.22, p=0.011) and EDSS (r=0.45, p<0.001). Reduced vision in MS is highly associated with physical fatigue and could be used to capture more global, difficult to describe, symptoms. 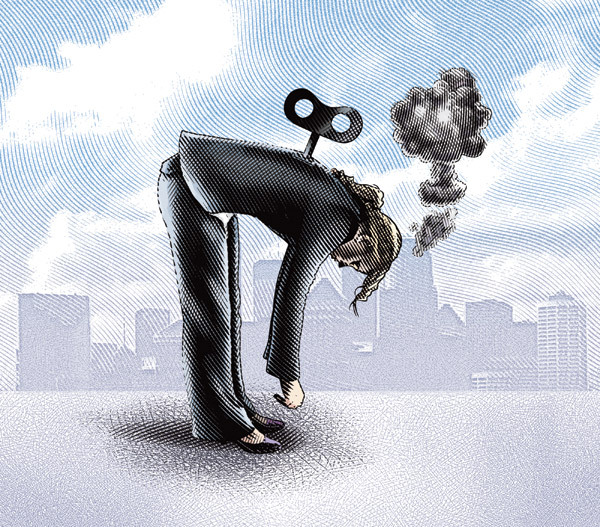 The potential differences in physical vs. cognitive fatigue and their correlates may begin to provide insight into their underlying mechanisms.